SSC CHSL TARGETED BATCHES ARE AVAILABLE……. Educational Qualification – Candidates must have passed 12th Standard or equivalent examination from a recognized Board or University. Age Limit – Minimum age is 18 years and maximum age is 27 years as on 1 August 2016. Age relaxation provided to certain categories as per the government rules. 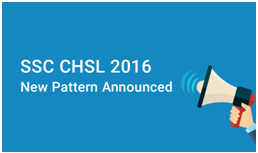 Interested and eligible candidates can apply for SSC CHSL 2016 Exam. Application form will be available for online mode & offline mode. Online application form will be available at SSC official website (ssc.online.nic.in) and those candidates, who want to submit the offline application form, can download and take a print out of application form and fill it. Educational Qualification – Candidates have to pay a fee of Rs. 100 as application fee through CRF stamps which can be bought from the post office. Fee is exempted for all female candidates and reservation category as per the rule of Government of India. Online Application – Candidates have to pay fee of Rs. 100, candidates can pay application fee through challan at any SBI branch, net banking and any credit/debit cards. (SC/ ST/ Female / PH category aspirants no need to pay any fee). Staff Selection Commission (SSC) will be conducting the Combined Higher Secondary Level Examination for the post of LDC and DEO in the Government run administrative offices. The examination is scheduled to be conducted in the month of November or December in two parts. Since the number of applicants has almost doubled during the past five year course following the educational revolution in India, the competition has quadrupled in these years. In this scenario, not only the book mugging or intensive practicing can essay your success, but combining these efforts with applying some smart SSC CHSL Preparation Tips will surely help chase down the target. These tips will work wonders if brought in habit. The Examination for the Part 1 of the selection procedure will be conducted in the month of November or December 2016. The Successful candidates will be appearing in the Part 2 of the selection procedure which would be the Typing and skill Test. The Commission will be finalizing the merit list as per the performance of the candidates in the Personality Test. 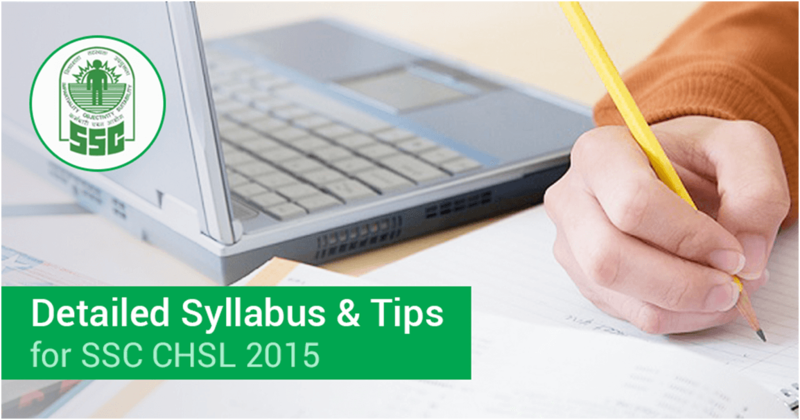 Let us talk about the SSC CHSL Preparation Tips as per the requirements perceived in the question paper. The questions in this section will be designed to test the ability of candidates in appropriate use of numbers and numerical sense. The scope of test will be computation of whole numbers, decimals, fractions, relationship, between the numbers, percentage, ratio and proportion, square roots, average, interest, profit and loss, discounts, partnership, mixtures and allegation etc. Most of the questions will be designed as such to test the knowledge of candidates in questions relating to current events and matters of every day observation and experience in scientific aspects as well as to test knowledge of current events and related miscellaneous observation and experience in scientific aspect. 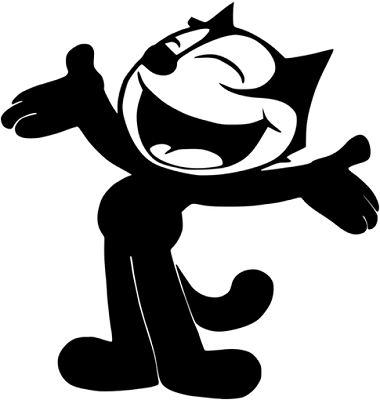 Study and analyze the syllabus three/four times with a preconceived notion that you have completed all the topics. The broad category of General Awareness syllabus is a segregation of History, Geography, Art & Culture, Indian Polity & Constitution, Economy & Finance, Science and Technology and so on. The Candidates should keep an eye on latest happenings and read a daily newspaper to keep an updated with the latest news. Make a habit of reading newspaper instead of watching the news. 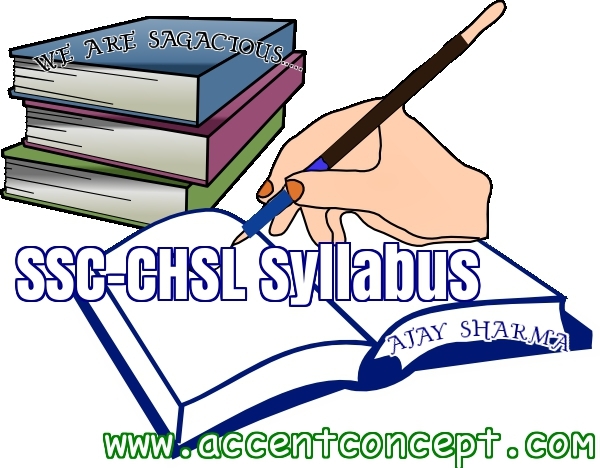 Know the Syllabus:The candidates aspiring for the SSC CHSL Exam must apprehend the syllabus for the exam. Knowing the syllabus helps as much as knowing the enemy in a war does. You can easily exclude the topics in which you are not good and prepare better in those which you can easily do. Save Time, Attempt More:The candidates should learn the short tricks which works wonders in any type of preparation. Saving time in one question will automatically lead to candidates attempting more questions. Solve previous year questions:The candidates should repetitively solve the previous year question papers to keep in touch with the question asked in the examination. This would also help them know the level of the question paper. 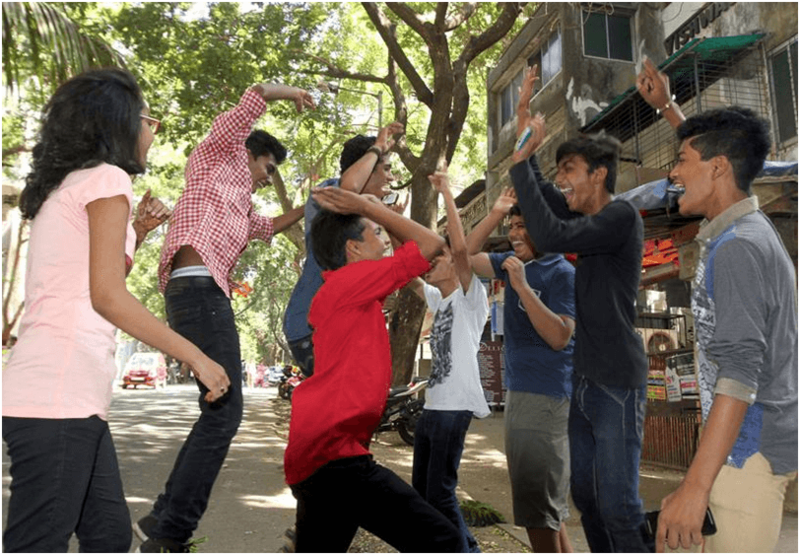 Solve sample paper:solving the SSC CHSL Sample Paper will help the candidates grow in confidence as well as keep them well prepared for the examination in an exam like environment. Take good care of Health:this is also a good tip for preparation of any examination as a lot depends on how you keep yourself ready for the preparation because ultimately it will be the health which would be the deciding factor. (4) General Awareness / General Knowledge. Questions will be set both in English & Hindi for sections – 1, 3 & 4. CHSL admits card will be hosted on regional websites of SSC by 1st week of September 2016. Candidates can download their CHSL exam admit card form respective regional SSC’s website or candidates can also download admit card from this website (CareerMantri.Com). Candidates will not be allowed to enter in the examination hall without the admit card. Answer key is the collection of all the answers asked in the exam. CHSL answer key will be published after the exam on the official website of SSC for all the sets of the question paper and candidates can use them accordingly. Answer Key of CHSL exam will be published after each shift (Morning and Evening). Cut off is minimum marks that are compulsory to score to get selected for further recruitment process. Cut off marks for general candidates usually higher than the reserve category’s candidates.